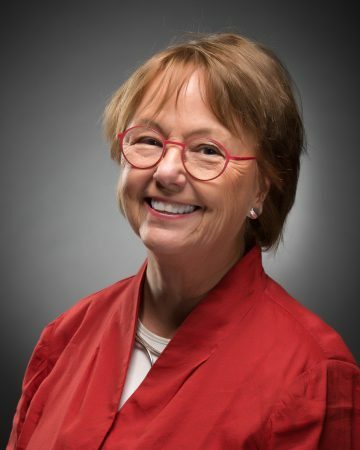 Dr. Carmen Gonzales serves as President, Santa Fe Community College Foundation Board, member of the Executive Committee and Chair, Leadership, Philanthropy, and Board Development Committee. Although recently retired from her position as Vice President and of Student Success at SFCC, Dr. Gonzales currently serves as the Principal Investigator for the Trade Adjustment Assistance Community College and Career Training (TAACCT) Program at SFCC. She serves on the Board of Directors of the McCarthey Dressman Education Foundation which gives grants and scholarships to teachers and teacher students. 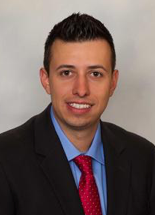 Dr. Gonzales was formerly Vice President for Student Success and a faculty member at New Mexico State University in the College of Education and was employed by the College of Extended Learning at NMSU. She is a native Santa Fean. Dr. Martha Romero is an elected member of the SFCC Governing Board and serves as a Governing Board Representative and Vice Chair to the Foundation. She also serves as a member of the Leadership, Philanthropy, and Board Development Committee. Although retired, Dr. Romero still teaches online and continues to work with community colleges as a leadership coach. Dr. Romero also served as a president of a community college in California. While in California, she established several leadership development institutes. One was a community leadership program much like Leadership Santa Fe; the other was to train community college leaders through Claremont Graduate University. Dr. Romero is also the Founding Director of the Community College Leadership Development Initiatives (CCLDI) at Claremont Graduate University. She has taught graduate seminars in Organizational Development at the University of Colorado, University of New Mexico, and Claremont Graduate University. Dr. Romero has served as the Vice President of Instruction at Pikes Peak Community College and President/Superintendent of Siskiyous Joint Community College District. She also serves on the Board of Everest College in Phoenix, a private for-profit college and has served on the SIAS University, an American University in rural China. Stephen Gaber was a founder and CEO of the Investment Counseling Division of Mesirow Financial Services, a diversified financial services firm headquartered in Chicago. A Chicago native, he worked at Mesirow from 1972 to 1996 when he retired and moved to Santa Fe. He earned a Bachelor of Science degree from Washington University , St. Louis, Missouri, and a Master’s of Business Administration from the University of California at Berkeley, California. He was a board member and treasurer of the Santa Fe Community Foundation from 2003 to 2008, and from 2011 to 2016. He was on the Board and treasurer of Con Alma Health Foundation from 2008 to 2014. He is the president of the Doris Goodwin Walbridge Foundation, a private foundation active in northern New Mexico. Ms. Patricia McNeill serves as Secretary, SFCC Foundation Board and member of the Executive, Leadership, Philanthropy, and Board Development Committee. Prior to joining SFCC, Ms. McNeill was the Vice President for Development at Sonoma State University. 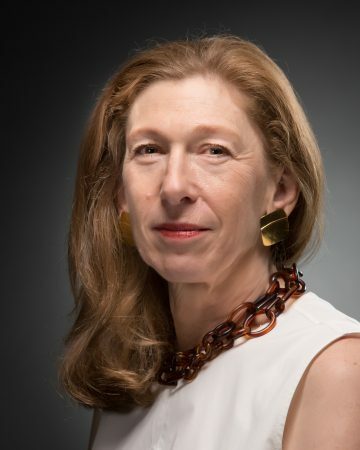 She has a 25-year career in fundraising beginning in New York City as a consultant to nonprofit organizations on grant writing and capital campaigns. Ms. McNeill has served on many nonprofit boards and worked at three universities in the California State University system. Ms. McNeill holds a BA in Art History from Mills College in California; an MA in Art and Education from Columbia University Teacher’s College in New York City; and a MAT in Music Education from George Washington University in Washington, D.C.
Ms. Elise Arena is a member of the SFCC Foundation Board and serves on the Leadership, Philanthropy, and Board Development Committee. She earned her BA from Hunter College in New York and her MPA from American University, Washington D.C. She also studied at Universidad Nacional Autonoma de Mexico; Universite de Paris, Sorbonne; Instituto Cultural de Guadalajara; and Universidad Ibero-Americana, Mexico. Ms. Arena has vast experience in Diplomatic Foreign Service as a government professional and has worked in Asia, Latin America, Europe, and North Africa. 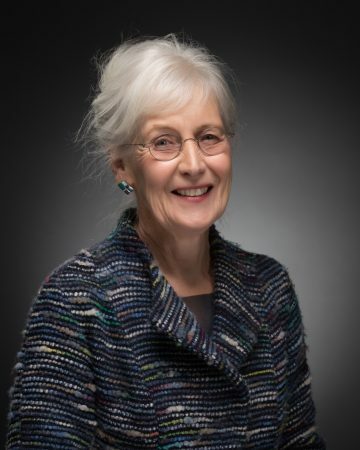 She has served on numerous boards including Glen Echo Park Partnership of Arts and Culture in Maryland; as founding member at Art Perspectives International; as Lead Coordinator for National China Garden Foundation; and on the US Arboretum in Washington, D.C.
Edwin Barker is the Chair, Advisory Committee for the Science on a Sphere project at SFCC. He was born here in Santa Fe and moved into town as a 4th grader graduating from Santa Fe High in 1958. Edwin attended and received degrees from New Mexico State, Kansas University and the University of Texas in Austin. As a planetary astronomer, he spent 40+ years with McDonald Observatory (Univ. of Texas at Austin) and 5 years with NASA/Johnson Space Center in Houston where he is still on contract with Orbital Debris Program Office. Over Edwin’s career he has published and/or presented papers on all objects within our solar system (Sun, Earth space environment, Moon, all planets, 50+ comets, numerous asteroids and extra solar planets). 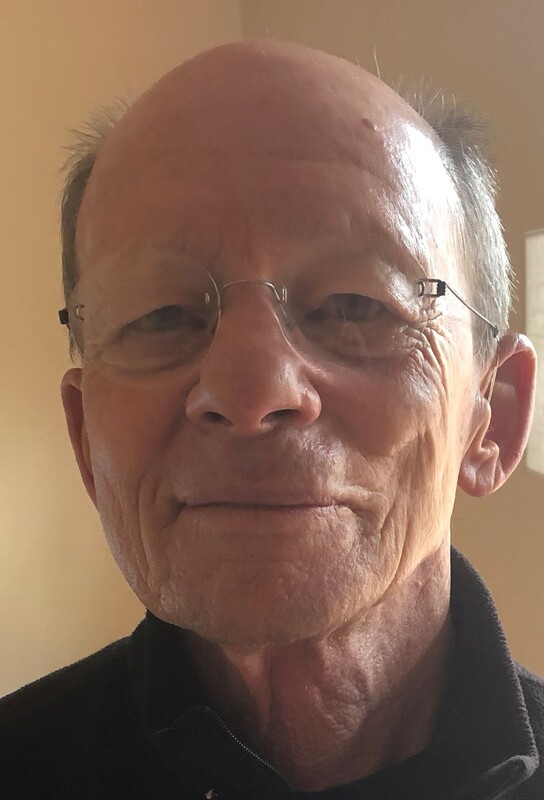 After “retirement” Edwin has been active as a mentor at Capital High School for Community in Schools (math, biology), served 6 years on the Board of Menual School in Albuquerque along with other charity and church work. In his spare time he enjoys spending time with his wife, Ann, 5 kids, 12 grandkids and fishing, camping and attending Santa Fe opera and other music events. In his years as a planetary astronomer or space scientist, Edwin has always enjoyed going to work and sharing his career with the public. Sandy Zane is the owner, with her husband, Ned Bennett, of form & concept and Zane Bennett Contemporary Art. Ms. Zane is also an accomplished artist and has exhibited her prints and paintings in many solo shows as well as in more than 25 solo, juried, group, and invitational exhibitions primarily in New York and New Mexico. Ms. Zane has served on the board of the NMSU Foundation and currently serves on the boards of Creative Santa Fe and Creative Startups. Ms. Zane and Mr. Bennett are philanthropists, contributing major gifts to Alzheimer’s research, the Safety Foundation of the Aircraft Owners and Pilots Association and to Santa Fe area educational and arts organizations including the New Mexico Museum Foundation and New Mexico School for the Arts. In 2012 Ms. Zane was the Remarkable Woman Honoree of the New Mexico Committee of the National Museum of Women in the Arts. Ms. Zane earned a B.A. in Arts Administration from Bard College in Annandale-on-Hudson, New York. She is a private pilot and owns aircraft for recreation. Dr. Cecilia Y.M. 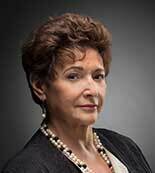 Cervantes serves as the Interim President of Santa Fe Community College.Cecilia Y.M. Cervantes most recently worked (2016) as a consultant in curriculum development at the Minneapolis Public Schools. From 2008-2015, Cervantes served as president of Hennepin Technical College (a two-campus college at Brooklyn Park and Eden Park, Minnesota). The college is the largest technical college in Minnesota and the region, serving more than 9,500 students in credit classes, as well as 10,000 students in customized training and continuing education courses. Cervantes provided leadership as president of College of Alameda (2002-2008) in the city/island of Alameda, California. The college served 6,500 credit students and additional enrollment through fee-based, non-credit offerings on the main campus at one off-campus facility, as well as at various community locations. She also served as Associate Vice President of Lifelong Learning and Career Technical Education at El Paso Community College (1998-2002), Provost Transmountain Campus El Paso Community College District, Texas (1998-1999); Associate Campus Director (Chief Instructional Officer) at Doña Ana Community College in Las Cruces (1994-1998), Vice President of Academic Affairs at Western New Mexico University in Silver City (1992-1994) and Dean of Continuing Education and Dean of Arts and Humanities at the Community College of Denver (1989-1992). Previously, she also served as Director of Federal Projects at Community of Denver, CO; Director, National Early Childhood Bilingual Multicultural Resource Center (Head Start programs) for Colorado, Utah and Wyoming; assistant professor of reading and coordinator Bilingual education, Metropolitan State University of Denver; reading coordinator, Right to Read Project at Denver Public Library and an elementary school teacher in Texas. Cervantes has earned the following academic credentials: Ph.D. University of Colorado (major: curriculum and instruction, minor: bilingual multicultural education/reading; M.A. University of Texas at El Paso (education/reading); and a B.A. University of Texas at El Paso (major/minor: Spanish/Chicano studies). Ms. Deborah Boldt is the Executive Director, SFCC Foundation and serves as a Board Member, Ex Officio. She also serves on the Executive, Finance, Leadership, Philanthropy, and Board Development Committee. She has a 25-year history of national and international fundraising and program development, and has worked extensively in Brazil, Argentina, and India. Ms. Boldt previously worked as a program officer for the Los Alamos National Laboratory Foundation in Española and also as a program officer for the Con Alma Health Foundation. She holds a Masters of Planning and Administration degree from Antioch University. She also studied studio art at the Maryland Institute College of Art, Baltimore, Maryland (her home town); at the Universidad Nacional Autonoma de Mexico, Mexico City, and at the Instituto Allende, San Miguel de Allende, Mexico. Natalie Fitz-Gerald was born in Johannesburg, South Africa, where she lived until she came to the United States in 1981. She received her Bachelor’s Degree from the University of the Witwatersrand, Johannesburg, South Africa. She later received advanced degrees from the London Business School and from Stanford University’s Investment Management Program. Her professional experience includes positions with South African Airways, Computer Sciences South Africa, the Johannesburg Stock Exchange, Mathison & Hollidge (a Partner/Member of the Johannesburg Stock Exchange), Century Capital Associates, Aeon (Pty) Ltd.
Natalie served as a consultant to Donaldson, Lufkin & Jenrette, for which she identified and negotiated a joint venture which resulted in a new partnership investment/merchant bank in South Africa. This led to her position as Investment Banker and Director of the Bank with Donaldson, Lufkin & Jenrette/African Merchant Bank, in which she later negotiated the joint venture that resulted in Pleiade/African Merchant Bank. Natalie worked extensively on Black Economic Empowerment initiatives and brought about the formation of Nozala, a Women’s Black Economic Empowerment corporation that has enjoyed great success. She also founded and co-designed Luc Benoit Designer Accessories, of which Mitsukoshi Japan became an equity partner, and later Casa Nova Gallery in Santa Fe. Casa Nova is a unique home decor and gift gallery offering a cultural fusion of art, craft, and design pieces from Southern Africa and other locales near and far. Through Casa Nova, Natalie is committed to making a difference in the world by creating sustainable employment for fair trade cooperatives, women’s groups, and individual artisans. George Gamble, is an elected member of the SFCC Governing Board and serves as a Governing Board Representative to the Foundation. He is a cultural anthropologist retired from the University of North Carolina at Chapel Hill where he worked mainly in public health and medical research. He completed his BA at Long Island University in New York and his PhD at the University of North Carolina at Chapel Hill. In the midst of his education George served in the Peace Corps in Gabon, Africa where he was a member of a team that built schools and teacher housing in the rural areas of the county. 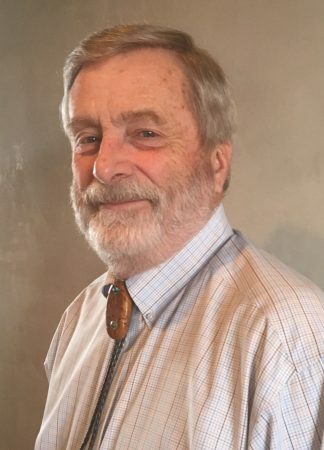 A Santa Fe resident since 2005, George served on the Santa Fe County Health Policy and Planning Board, has tutored in the public schools and has been active in supporting public education. George is also a woodworker who has learned much from SFCC Fine Woodworking classes. Vince Kadlubek is CEO of Meow Wolf, the exciting immersive art installation in Santa Fe that’s attracted attention from around the world. He created the business plan that brought life to the House of Eternal Return. Meow Wolf employs 150 people and provides them with extensive benefits. He also raised $7 million to create an entirely new business in charge of the full-time creative team that works to further grow and develop Meow Wolf. He launched three new businesses in 2016 and 2017. He is also chair of the Santa Fe Planning Commission. Mr. Fred Nugent is a member of the SFCC Foundation Board. He also serves on the Executive Committee. His financial expertise includes managing a departmental budget in excess of $26 million. Mr. Nugent also has comprehensive domestic, international legal, and business experience. He holds a Bachelor of Arts in Political Science from the University of Notre Dame, and he earned his Juris Doctorate from Seton Hall University in 1971. 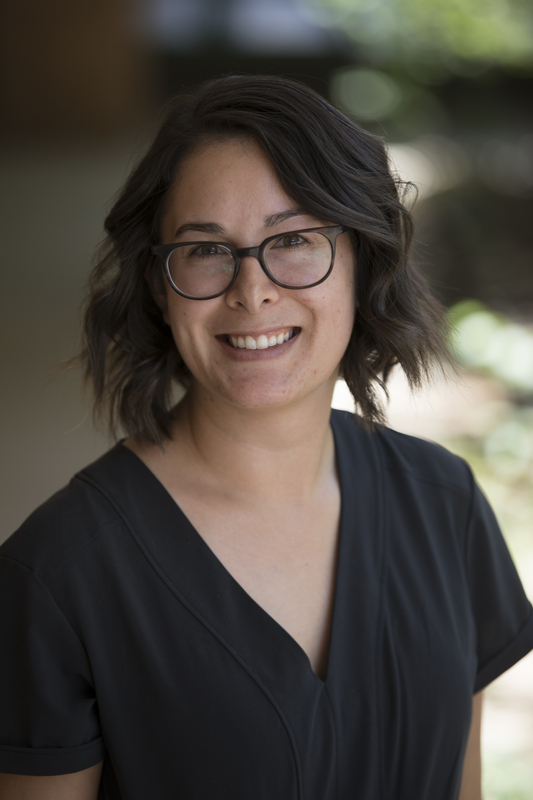 Danika Padilla recently joined Meow Wolf as the Director of Community Development, where she heads the company’s social and corporate responsibility planning. As part of this role, Danika is working to engage local stakeholders and to foster long term community relationships across all of Meow Wolf’s locations; including Santa Fe, Las Vegas, and Denver. With almost a decade of political activism, fundraising, and non-profit experience, Danika is passionate about expanding the role businesses play in building and supporting strong communities. Previously, she had served as Managing Director at Rio Strategies, and on the South Central Finance team for Hillary for America, where she traveled across Texas, Colorado, New Mexico, Oklahoma and Arkansas engaging supporters. Originally from Washington State, Danika holds a Bachelor of Science in Environmental Science from Washington State University, and first moved to New Mexico in 2014. After moving five times in the last seven years, she is thrilled to be putting down roots in New Mexico with her husband, Sam Jones. In her free time, you can find her exploring our remarkable public lands and finding the best taquerias along the way. 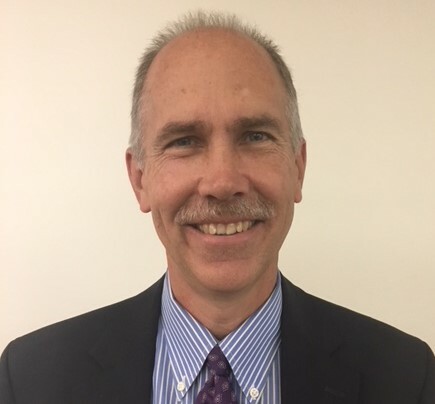 Mr. Regis Pecos is a member of the SFCC Foundation Board and serves as a member of the Leadership, Philanthropy and Board Development Committee. He has served multiple terms as Lieutenant Governor and Governor of the Cochiti Pueblo, as well as having served on the traditional Tribal Council for 30 years. 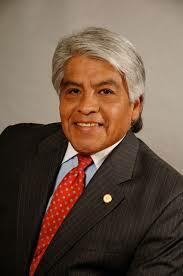 Other areas in which Mr. Pecos has served include New Mexico Office of Indian Affairs as the Chief Executive; the Office of Speaker Ben Lujan, New Mexico House of Representatives as Chief of Staff; and House of Representatives as the Director of Policy and Legislative Affairs. He has been the co-director of the New Mexico Leadership Institute and Indigenous Think Tank. Mr. Pecos has also served as Head Faculty of the Woodrow Wilson School of Public and International Affairs at Princeton University. Most notably, Mr. Pecos has written numerous publications on subjects such as education; environment; health; indigenous customary laws and governance; Pueblo language and culture; land tenure; water rights; and Indian policy and laws. Mr. Pecos holds his BA from Princeton University, his MA from UC Berkeley, and studied Senior Executive Education at the John F. Kennedy School of Government. Mr. Adam Stramel serves on SFCC Foundation Finance Committee. 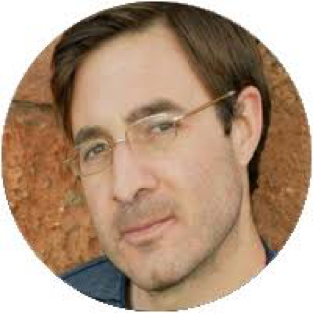 He holds a BBA with a concentration in Finance from New Mexico State University and an MBA from the University of New Mexico Anderson School of Management. Mr. Stramel, a native Santa Fean, works as Vice President Commercial Lender at New Mexico Bank & Trust. An avid mountain biker and hiker, Mr. Stramel enjoys spending his free time outdoors. Jeff Szabat is a Senior Vice President and the Retail Manager with Century Bank. In this role, Mr. Szabat directs a team providing financial solutions to consumers and businesses. Before joining Century Bank in 2002, Mr. Szabat worked for Bank of America and its predecessors for 18 years. During that tenure, he rose from Commercial Teller to the Santa Fe Market President. Drawing on his 34 years of banking experience, Mr. Szabat now focuses on leading the largest area of Century Bank. Passionate about giving back, Mr. Szabat has participated in various community activities including; Habitat for Humanity, Santa Fe Plaza Painting, and scholarship fundraising events. In addition, he has served on several Non-Profit Boards including; the Santa Fe Chamber of Commerce (Vice-Chair), The Food Depot (Board President), and the Santa Fe American Little League (Board President). A Santa Fe resident since 1998. He is also an avid birder, bike rider, and Pittsburgh Sports enthusiast. Mr. Szabat holds the Bachelor’s of Science degree in Economics from the Pennsylvania State University. Dr. Leona Zastrow is a member of the SFCC Foundation Board and serves on the Leadership, Philanthropy, and Board Development Committee. 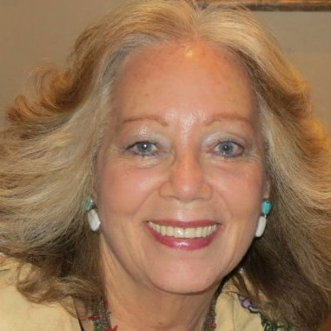 She is the Founder and President of American Indian Art Appraisals, a division of Educational Planning for Individuals and Communities (EPIC, Inc.) which is a personal property appraisal service. She is a member of the Appraisers Association of America. Previously, Dr. Zastrow served as a Board member of National Art Education Association, for the Kennedy Center for Arts Education, on the Indian Arts and Crafts Board, and for the Rotary Del Sur Foundation. She was employed as President, Secondary and Higher Education at St. Catherine Indian School in Santa Fe. A resident of Santa Fe for over 50 years, Dr. Zastrow is an active member of our community and specializes in Southwest Indian Art. In the past, she has been a Visiting Associate Professor at the University of New Mexico and Director of Native American Studies and Director of Development at the College of Santa Fe. Mr. Richard Abeles, J.D. serves as President, Santa Fe Community College Foundation (SFCCF) Board of Directors. He also serves on the Executive, Finance & Investment, and Leadership, Philanthropy, and Board Development Committee. Mr. Abeles achieved his BA in physics from Amherst College and achieved his Juris Doctorate from Harvard Law School. 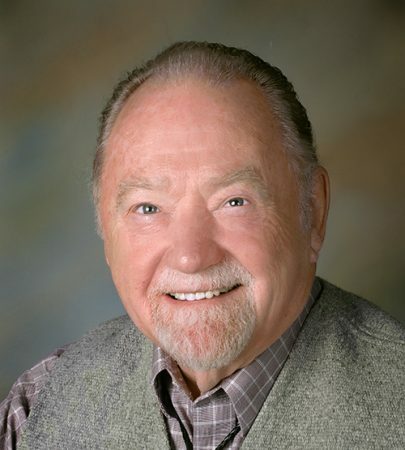 An active member of the community, Mr. Abeles was the co-founder of the Santa Fe Children’s Museum and has served on many local boards, including the Metropolitan Water Board. Dr. Rachel Belash served as SFCCF’s Board Vice President and Chair, Philanthropy Committee. She currently devotes her time to the Mountain Cloud Zen Center, serving on their board as Chair. She is also a tutor for Literacy Volunteers of Santa Fe. She formerly served on the Board of United World College USA. She tenured at Vassar College and was head of an independent girls’ schools in Connecticut and Toronto. She served as Manager of the Search Group and VP of the Trust Division at Bank of America. She completed her undergraduate work at Oxford University and her Ph.D. in Latin American Studies from the University of Kentucky. 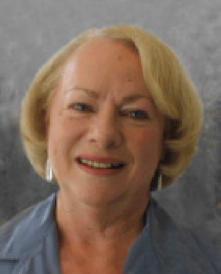 Ms. Carole Brito served as a member of SFCCF’s Board and Chair, Leadership and Board Development. She currently serves on the Board of Directors of Santa Fe Community Foundation. She is the founder and president of LEAD (Leadership, Education, Assessment and Development) for Excellence. Ms. Brito has 30 years of experience as a K-Graduate level educator and is retired from Highlands University. A native Santa Fean, Ms. Brito earned her BS from the University of New Mexico and her MA in Educational Administration from New Mexico Highlands University. 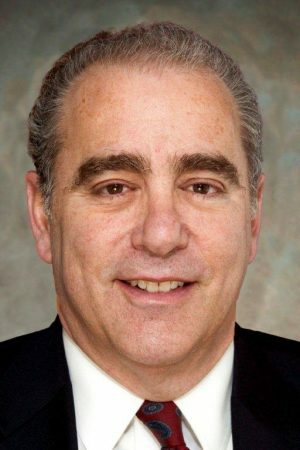 Dr. Robert Glick served as a member of SFCCF’s Board and on the Leadership and Board Development Committee. He is the former Executive Director of St. Vincent Hospital Foundation and served on many nonprofit boards. Dr. Glick earned his doctorate in Comparative Literature from Indiana University. He taught at the Universities of Cincinnati and Maryland as a professor of English and Comparative Literature; he also was a tutor at St. John’s College and has been a Visiting Fellow at Yale University. Ms. Nancy Witter served as served as a member of SFCCF’s Board and on the Philanthropy Committee. She is a retired Clinical Psychologist and has served on numerous professional and nonprofit boards in Santa Fe. She received the Phi Beta Kappa Scholarship and earned her BS from the University of Iowa and a MS from Purdue University.